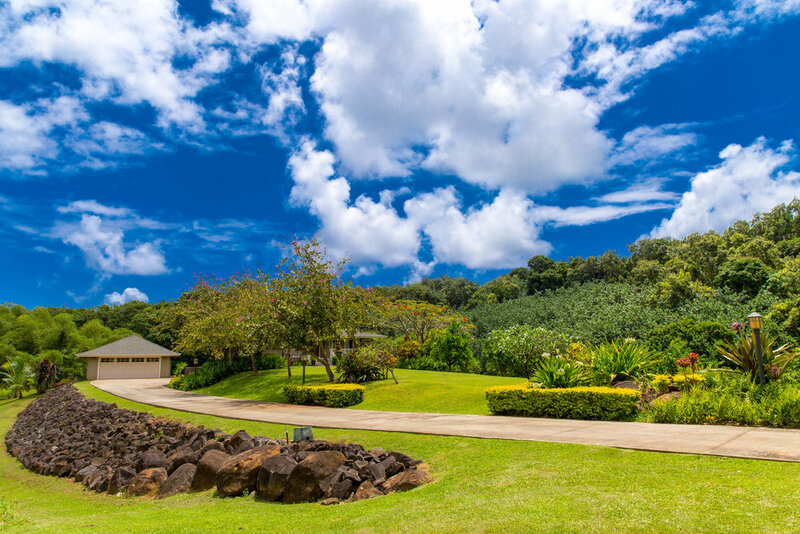 Located on a small hill in the center of nine pastoral acres, accessed by a quiet country road and a long private drive, Kula Manu offers the serenity that is the keystone of the Island lifestyle. The interior appointments of this 3-bedroom, 2-bath home include cherry cabinets, hardwood floors, stainless appliances, granite counters and a soaking tub. On the exterior, covered wraparound lanais and a rear deck offer 360-degree views: forest, valley, mountain, and sunset. Beautifully landscaped, the estate includes an oversized garage, vaulted ceilings, and two guestrooms with private entrances. 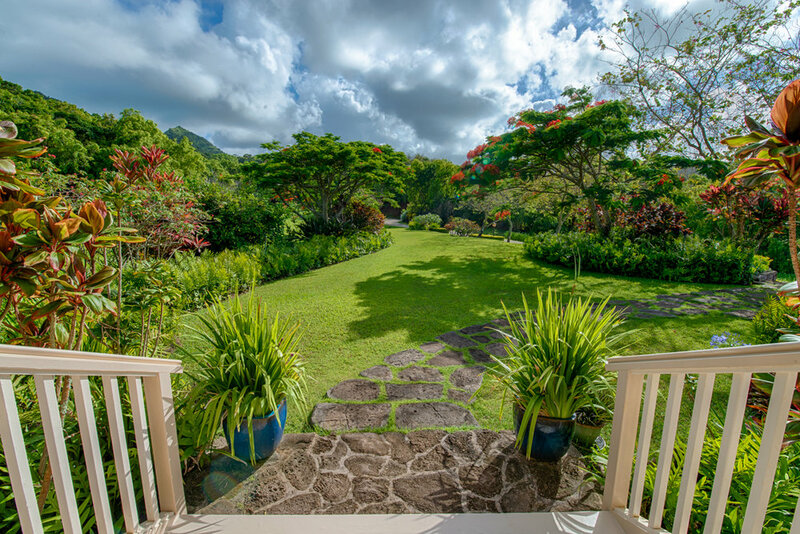 One of the largest land offerings in this price range on the North Shore, Kula Manu includes coveted guest house rights for future expansion. 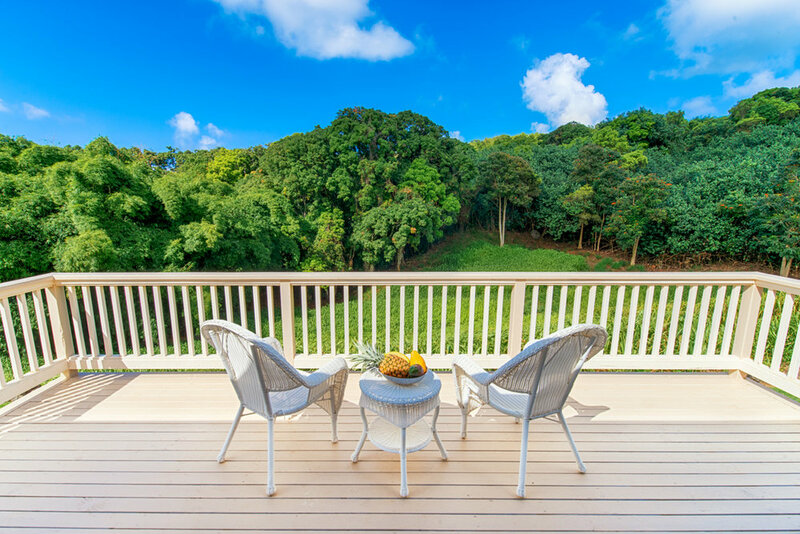 This gracious retreat is a five-minute drive (or a short walk down a peaceful, shaded country lane) to the aquamarine waters of Moloa’a Bay and less than a 15-minute drive to Princeville or Kapa’a.